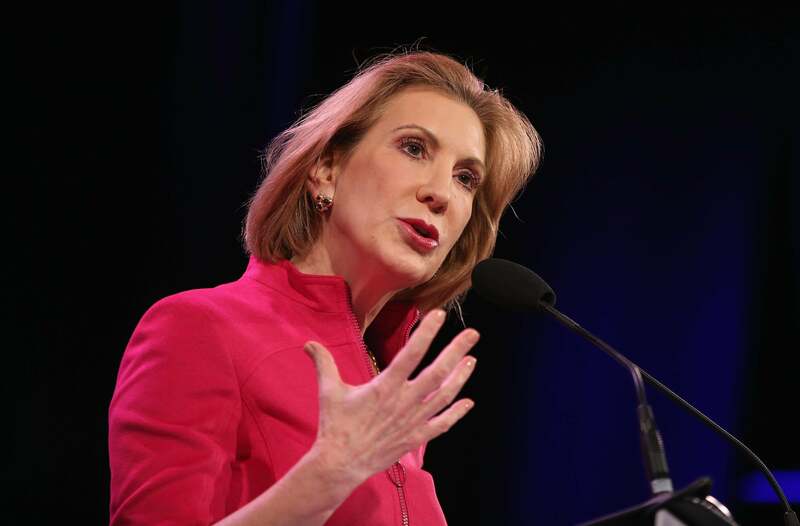 Carly Fiorina 2016: Wall Street Journal reports former Hewlett-Packard CEO will launch presidential campaign on May 4. Carly Fiorina speaks to guests at the Iowa Freedom Summit on Jan. 24, 2015, in Des Moines. The field of official GOP hopefuls appears set to grow by at least one early next month. The Wall Street Journal reports that Carly Fiorina, the former Hewlett-Packard CEO who lost a 2010 Senate race in California, will formally kick off her presidential campaign on May 4. [She] will formally declare her Republican campaign online and hold a conference call for the national press, according to a person with knowledge of the campaign’s plans. The lack of fanfare stands in contrast to GOP candidates who already have declared. Sens. Ted Cruz of Texas, Rand Paul of Kentucky and Marco Rubio of Florida held choreographed events to officially launch their 2016 efforts. Mrs. Fiorina won’t hold a public event the day she begins her campaign. … And instead of immediately heading to states with early nominating contests, Mrs. Fiorina will be in New York when her campaign formally launches. The former tech CEO is scheduled to speak at Techcrunch’s Disrupt NY 2015 conference on May 5. She has a new book due out that day and is expected to sit for cable TV interviews as well. After following her around the Conservative Political Action Conference this past February, my erstwhile Slate colleague Betsy Woodruff described Fiorina as a “CPAC polygot” who was equally comfortable name-dropping foreign leaders like Benjamin Netanyahu and Vladimir Putin on the main stage as she was “ducking into a bar full of ebullient College Republicans in the process of having one of the more sloshed weekends of their college careers.” She’ll need to hope those skills translate to the campaign trail, where she will have her work cut out for her. Fiorina’s currently polling somewhere around 2 percent nationally, and about the same in Iowa and New Hampshire.